You are here: Home / Indoor Scenes / Whiskey! 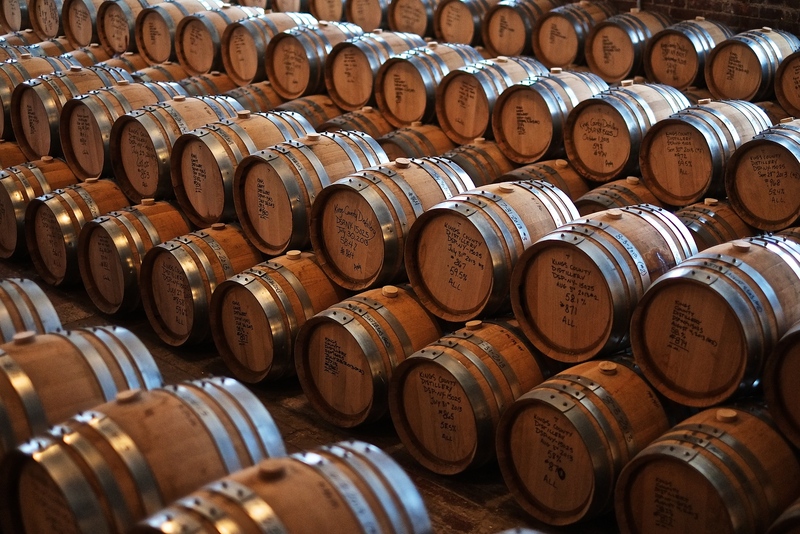 As I promised here, this is what row upon row of bourbon whiskey barrels look like in the Kings County Distillery. What more do you need from me, really? Nice image Mark. Are you bringing those to Maine? If so, we need a truck. Love all those whiskey barrels. Great symmetry and composition.